Now that the 2014 candidate filing period is over, we have a better idea of what the coming months of campaigning are going to be like. Unfortunately, things are not looking up for fans of political engagement. One of the biggest points of worry is the vast number of seats that have no competition at all. Of course, not everyone feels this is a negative. The Tulsa World has published an editorial in which they applaud the vast number of seats that received no challenge during the filing period. Filing for political office wrapped up Friday, meaning the campaign season has started. Before things get too involved in that debate, we would like to take a minute to congratulate the candidates who have already won — those who brought no opposition in the election. Whether because their credibility with the public is so substantial, their political presence is so daunting or their opposition so disorganized, a lot of officeholders were guaranteed another term in office, which deserves public acknowledgement. They close the editorial in much the same way. But before that gets rolling, we congratulate the ones who have already won. Your willingness to lead the community and serve the people is laudable. You have our thanks and our best wishes. But is this really something that is worthy of applause or congratulations? When we look at the numbers, we really don’t see anything worth congratulating. Of the five US Congress seats, one received no competition. District 1 Rep. Jim Bridenstine will be able to take his seat in Washington with no real effort or challenge. On the state level, we have 8 uncontested Senate seats and 50 uncontested House seats. That is 46% of all state legislative seats. When we add in the 4 Senate and 14 House seats that will be decided in Oklahoma’s closed partisan primaries. This means that 57% of Oklahoma’s legislative seats will be decided without the approval of the vast majority of their voters. Is it really any wonder why Oklahoma has such low voter engagement? On a more positive note, there are the three major statewide elections that will allow for a lot of civil engagement with voters. We have very active races for both US Senate seats and the Governor. All three races have candidates from the Republican and Democratic parties and from Independents. But for all those voters in US Congressional District 1 and all those voters from the state legislative districts with no November election we express our condolences. We wish you the best in coming years. We know it must be difficult to not have any say in who represents you. Will You Run For Office This Year? Will you run for office this year? It doesn’t take much to just get your name on the ballot. Only $200 and some time at the capital to file the necessary paper work. How much or little you do after that is up to you. Even if you do the bare minimum of work during the election cycle, you still have the chance to get 5-20% of the vote. In 3-way races (Democrat, Republican and an Independent), Independents tend to get around 5% of the vote. In 2-way races (either a Democrat or Republican against an Independent), the Independent typically gets 15-20% of the vote. If we have more Independents on the ballot, that percentage could increase with the added exposure in the press. Next week, April 9 – 11, is the candidate filing period. Will you be at the capital? The State Election Board has provided a handy guide to filing for office. 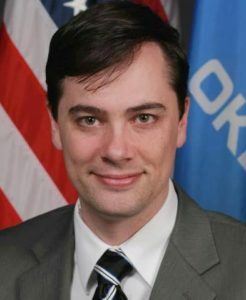 Oklahoma needs more candidates to run for office. In recent elections, fewer state legislative seats have received challenges. This means more legislators are getting too comfortable in their seats. When legislators get too comfortable, they stop thinking about what’s best for Oklahoma. Many people are upset with the direction Oklahoma is going, but no one has as much a right to complain as do the independent voters in the state. Oklahoma has made it extremely difficult for independent voters to make their voices heard, form their own political parties and run their own presidential candidates. We’ve not had an alternative party with an alternative presidential candidate in more than 12 years. The Legislature refuses to rectify this problem. If the current Legislature refuses to alleviate the grievances of independent voters, then those voters need to force their hand. Independent voters need to become independent candidates for the Legislature. Only by becoming candidates for office and running against comfortably seated incumbents will we see a change in the laws blocking alternative parties and candidates. It doesn’t take much to run for office, but by doing so, we can get many issues in front of voters that the major party candidates refuse to address in public. We can become a force for change. We really hope that Independent voters read this and our other messages and make the choice to run for office. A copy of this letter was also published at the Tulsa World. Oklahoma has a real problem when it comes to elections. We have too few people running for office. It is something that has gotten progressively worse over the years. In the 2012 election alone, only 47 of the 101 available House seats were opposed. Of those that were opposed, only 32 elections actually appeared on the 2012 November ballot. With this major lack of real challenge to incumbents, Oklahoma’s politicians become complacent in their ideals and neglect to serve the interests of the people of Oklahoma. Last week, I wrote that Governor Mary Fallin, despite not officially announcing her reelection bid, has been gearing up for the coming 2014 election. She is not alone. News 9 in Oklahoma City is reporting that Senator James Inhofe and Representative Tom Cole, of US House District 4, have both raised over $1million each towards their respective 2014 reelection bids. According to data from the 2012 election, Tom Cole spent a little over $1million to win his reelection. 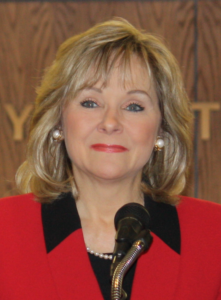 Governor Mary Fallin Has Made Moves Toward A Reelection Bid; Who Will Oppose Her? While Governor Mary Fallin has not officially announced her reelection campaign, she is plenty busy putting plans in motion. According to NewsOK, she is busy fundraising for her unannounced campaign and raising awareness of her record as governor for the last 3 years. I haven’t set a specific date to kick off a re-election announcement, but I have been having some fundraisers across the state and we do have a campaign website up along with sending updated emails out to our current supporters. That website is up and running and is full of information about her record and her plans. So even though she is not currently openly running, she is still working hard on that reelection campaign.